Scott Grayson, former chief sales officer at R3, has joined the blockchain services firm AlphaPoint as a senior vice president for institutional sales. Grayson will be working with large institutions like banks, brokerages, exchanges and private equity firms that want to tokenize assets such as real estate, private equity, securities and loans on a global scale, he said. Negotiations with a number of banks, real estate and private equity firms are underway, he added. He said he hoped “there will be opportunities in the future” for the two companies to work together, though no formal collaboration had started yet. According to R3 spokesperson, Grayson left the enterprise blockchain software company in September. Before joining R3 in 2017, Grayson worked at software vendor Charles River Development where he was supervising a senior sales team. He previously worked in sales roles at software vendors SAP North America, Algorithmics and NumeriX. Earlier in his career, he was an equities and options trader and worked at Bankers Trust Company (now a part of Deutsche Bank) and Bank of America. New York-based AlphaPoint has attracted a number of other executives from traditional finance. In 2017, Salil Donde, who previously served as an executive vice president for Nasdaq’s Global Information Services, joined the startup as a CEO. Kapil Rathi, former head of equity options at Cboe, joined the team as global head of trading markets in November of last year. Scott Scalf, former director of trade lifecycle systems at Deutsche Bank Global Technology, joined AlphaPoint as executive vice president of development in November 2016, although he left the position in January 2018, joining Strategic Software Systems. 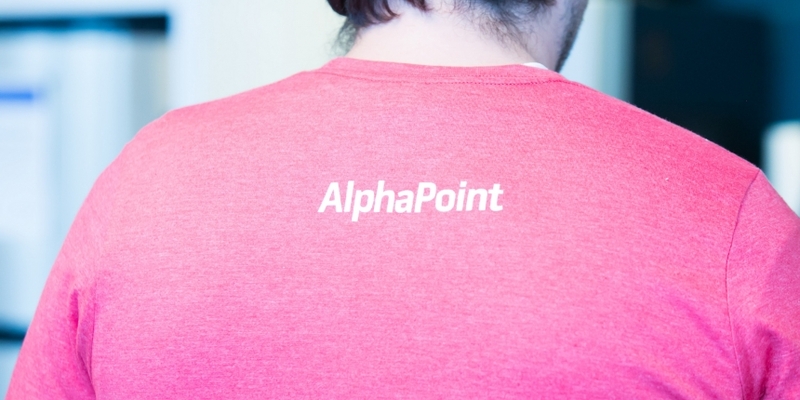 This summer, AlphaPoint completed a $15 million venture funding round led by Mike Novogratz’s Galaxy Digital and helped launch an XRP-based cryptocurrency exchange named DCEX.